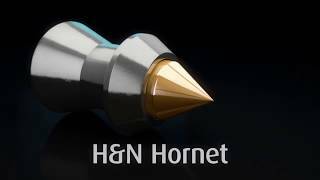 The Hornet is a .25 caliber pellet that has a pointed metal insert set into a large hollow in its nose. 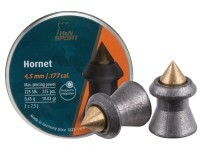 A pellet of this caliber and weight will be best used for dispatching pests or hunting small game. 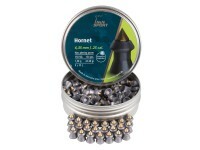 Things I liked: Great penetration, point of aim very close to JSB EXACT .25cal 25.39 gr pellet my Remington 725 VTR is sighted in with. Consistent grouping with this pellet. Things I would have changed: Bulk pack at lower price. 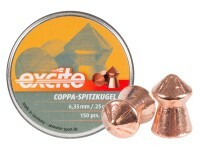 What others should know: Brass tip is very damaging, be careful what is behind target! 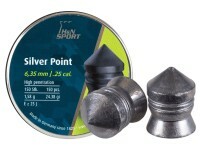 It will penetrate thin metal, tip does not expand and flatten out! Things I liked: Well made. Good quality. What others should know: Constant and I mean constant jamming in my Marauder .25. Pellets got stuck half in breach and half in magazine. Only managed 2 2 shot strings. Thought it was my magazines but switchet back to my normal pellets abscess no issues. Very disappointed in this product. Wasted a lot of time at the range unjamming my rifle. Things I liked: Was really excited and waited a long time for these to come out. They look awesome. They group well out of my Marauder. Things I would have changed: More per tin. 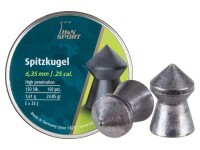 A heavier pellet option would be nice. What others should know: Maybe a isolated issue but, one got stuck in my Marauder magazine. I was trying to cycle the pellet forward in the gun. The pellet hung up on the inside of the magazine. This meant the pellet was stuck half in the mag and half in the chamber. I had to work the round back and forth to get it out. This has never happened with any other pellet. 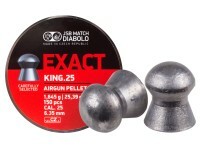 Good pellet but I wouldn't use in a magazine. Single shot tray from now on with these for me. 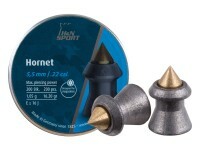 Will these fit an Air Arms S410/S510 Magazine, .25 Cal? 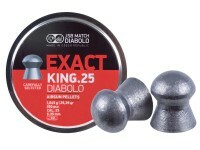 What mags will these pellets NOT fit into? Thanks. 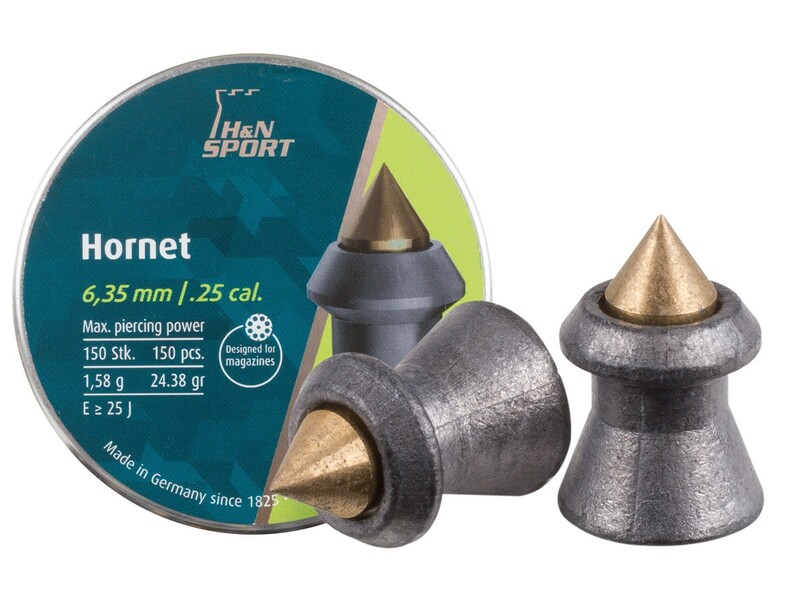 Will they fit the bt65 mag?